Here is what is on the table for A Lively Experiment this week. Air dates and times follow the description. A Lively Experiment airs on WSNE Rhode Island PBS (36.1) Thursdays at 7 PM, with rebroadcasts on Saturdays at 7 PM on WSBE Learn (36.2) and Sundays at noon on WSBE Rhode Island PBS (36.1). Find WSBE Learn over the air on digital 36.2; Cox 808; Verizon 478; ComCast 294. Tune in tonight for THE PRINCIPAL STORY at 8 PM, followed by Kelley McGee's interview with RIDE Commissioner Deborah Gist, plus discussion with four RI principals in RHODE ISLAND'S SCHOOLS: WHERE WE STAND at 9 PM. Please refer to my earlier post for details. Award-winning chef Jacques Pepin is being honored this weekend during the Newport Mansions Wine & Food Festival. WSBE Rhode Island PBS will have a display table at the Grand Tastings at Marble House on Saturday and Sunday (noon to 4 PM). If you're attending the event, please make it a point to stop our table and say hello. This morning's Providence Journal has a nice article by food editor Gail Ciampa about Jacques Pepin and his visit to Rhode Island this weekend. • Former President Jimmy Carter’s claim that criticism of President Obama is fueled by racism. • Talk of new leadership in the House of Representatives as the General Assembly prepares to reconvene. School Leadership: Four RI Principals Reflect on "The Principal Story"
The work day starts early and lingers long after the clock says it's quitting time. Goals, plans, projects – and the order of their priority – each have fairly even odds of eliciting a smile or a frown, depending on the amount of reshuffling needed in the dynamic landscape. Every principal has an invisible hat rack on the office wall, with a wardrobe of eclectic and sometimes unlikely caps donned throughout the day. Administrator. Building inspector. Disciplinarian. Cheerleader. Social Worker. Referee. Politician. Coach. Chaplain. Whatever the momentary role or immediate need, the one quality that unifies all of the demands on a principal is leadership. The quality of that quality – and whether its fruit withers or thrives – correlates to the support network often provided and controlled by non-educators. In the final 20-minute segment of Rhode Island's Schools: Where We Stand, Kelley McGee interviews Rhode Island's new Commissioner of Elementary and Secondary Education Deborah Gist. Rhode Island's Schools: Where We Stand is produced in partnership with the Rhode Island Association of School Principals (RIASP). 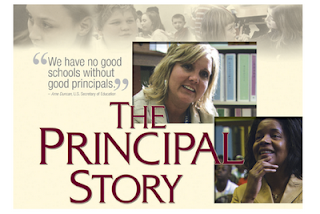 The Principal Story, a documentary from the acclaimed PBS independent film series P.O.V., presents the challenges principals face in turning around low-performing public schools and raising student achievement. This intimate, emotional one-year journey is seen through the eyes of two dynamic principals. The film reveals the struggles these leaders face as they keep their focus on improving teaching and learning amid the competing demands of managing their staffs and engaging their students and communities. The Principal Story paints a dramatic portrait of the challenges facing America's public schools – and of the great difference a dedicated principal can make. Produced by Nomadic Pictures and funded by The Wallace Foundation, a source of ideas for improving school leadership, The Principal Story airs on WSBE Rhode Island PBS September 24, 2009 at 9 P.M. with rebroadcast on Sunday, September 27 at 2 P.M.over the air on digital 36.1; Cox/Verizon/Full Channel 08; DirecTV 36; Dish Network 7776; ComCast subscribers, please check local listings for the channel number in your area. On both dates, Rhode Island's Schools: Where We Stand airs immediately after The Principal Story. For links to The Principal Story field guides, video clips, vignettes and discussion guides, and other ideas and resource materials about developing and supporting school leadership, visit www.ripbs.org. In honor of Rosh Hashanah (Jewish New Year) celebrated this weekend, WSBE Rhode Island PBS presents a 3-week Wednesday night series of Jewish heritage films, beginning tonight. THE JEWISH AMERICANS (8 PM), a three-part documentary series written and directed by the Emmy Award-winning filmmaker David Grubin, examines the struggle of a tiny minority to make its way into the American mainstream. While the story of Jewish life in America is emblematic of the American immigrant story, it is also a unique story of ongoing discrimination and stereotyping, coupled with some of the most remarkable accomplishments in American history, the arts, commerce, science and academia. Part 1, "They Came to Stay/A World of Their Own" airs tonight. Part 2, "The Best of Times, The Worst of Times" airs September 23. Part 3, "Home" airs September 30, all starting at 8 PM. At 10 PM tonight (September 16), we air KITKA AND DAVKA IN CONCERT Old World and New World Jewish Music. "It’s a joy to hear the beauty and feel the cultural richness of Kitka & Davka in Concert, an attractively composed presentation of old and new Jewish music. While the production is obviously lifted by the power and depth of the music, it’s the skill of the filmmaker and production team that brings the experience to life..."
OK, so it's not exactly the right time of year, but the story is so timeless and delightful, we want to share it with you again. With all the wonderful chaos of preparing for a large gathering of extended family, The Gefilte Fish Chronicles honors the rich tradition of Pesach (Passover) with an intimate and candid look at the Dubroff family preparing for Seder. But don't be misled - no matter what your heritage is, you will find your own family members among these charming and feisty storytellers. Led by the three surviving sisters, Sophie Patasnik, Peppy Barer, and Rosie Groman, traditional preparations are made for the Seder at Peppy's home in Newburgh, NY. Six weeks before the Seder they shop and chop, taste and season. Using recipes nearly a century old, they begin to put together the gefilte fish, cholent, horse radish, and sponge cake. The Gefilte Fish Chronicles in a funny, touching, and universally familiar story of love, of tradition, and of generational family unity - and it's reality television the way it should be. This is a loving, living photo album. Author Tim Lenhert will be in our studios to talk about his fascinating fact-packed and trivia-filled book, "RHODE ISLAND 101." It's 248 pages of (according to the book's subtitle) "Everything you wanted to know about Rhode Island and were going to ask anyway." From Narragansett Bay, Roger Williams, the American Industrial Revolution and the Independent Man to the New England mob, the Big Blue Bug, the Newport Mansions, Family Guy and profiles of Buddy Cianci, H.P. Lovecraft and the Farrelly brothers, no book provides a more insightful lowdown on the Ocean State than Rhode Island 101. No book is more fun! Well known Rhode Islanders weigh in on the nation's smallest state. 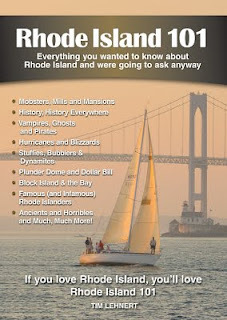 Investigative reporter Jim Taricani recounts his top stories, Mark Patinkin provides signs that you've been in Rhode Island too long, meteorologist John Ghiorse revisits the most memorable weather events of the last 40 years, Lincoln Chafee offers a Rhode Island treasure hunt and Rory Raven illuminates haunted Rhode Island. Other contributors include Bruce Sundlun, Arlene Violet, and Tony Petrarca, as well as labor historian Scott Molloy, restaurateur Josh Miller, funny man Charlie Hall, anthropologist Michael Bell and music producer Larry Bonoff. From fabulous beaches, historic cities, and dynamite cuisine to corrupt politicians, elite universities and a unique accent and slang, it's all here. Tune in, starting at 7:30 P.M. And, of course, enjoy "Celebrating Molly Sugden" and "Keeping Up Appearances QE2"! Do your little ones love PBS Kids shows?